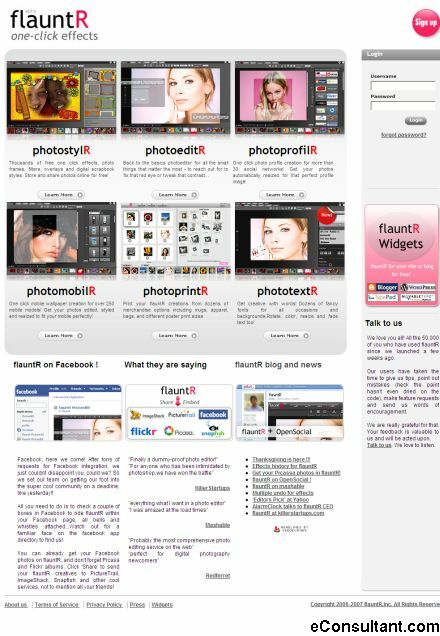 Description : flauntR is a free online photo editor and effects software. Apply 1000s of digital photo effects to your images with just one click. Get images directly from FlickR or your PC. Use the online photo album feature for photo storage, and access your albums online. Share your creations by email, edit pictures online for embedding on your web page and blog.